Dr. Delores Langston’s is a Contributing faculty at Walden University. After spending more than a decade working in mental health and substance abuse she wanted to do something to enhance the lives of those who were going to be new in the field of Human Services. With her experience, she knew what truly makes a good Human Services professional. Human Services is not mastering the marketing flavor of the week. It’s how well you connect with the heart-beating people you are trying to help and communicate your understanding back to them. Dr. Langston is a successful business management professional with proven, consistent record of accomplishment of business startup and growth. She brings a strong background of success to any organization. Her experience is extensive and diverse from new business start up to successful turnaround of established operations. She is a proficient all-around management practitioner with a highly applicable background and exceptional leadership, communication, presentation, and team-building skills. She offers 15+ years of experience. 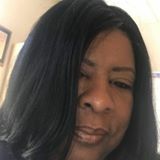 Along with her years of experience, Dr. Langston holds a Doctorate degree in Human Services, a Master’s Degree in Social Work, Bachelor’s Degree in Health Services Administration and a Graduate Certificate in Adult Learning Education. She has presented at numerous conferences including the National Organization for Human Services. Dr. Langston’s current research interests focus primarily on building healthy families.